Facebook launched a video platform called Watch, which will feature original content created by partner publishers, in a move which pits the social media giant against companies including YouTube and Netflix. The social media giant intends to fund some shows itself “to help seed the ecosystem, gather feedback, and inspire others”. For now a limited number of publishers can post content, but in the future Facebook wants anyone to be able to do so to enable publishers to build a community of passionate fans and earn money for their work, it said in a blog post. 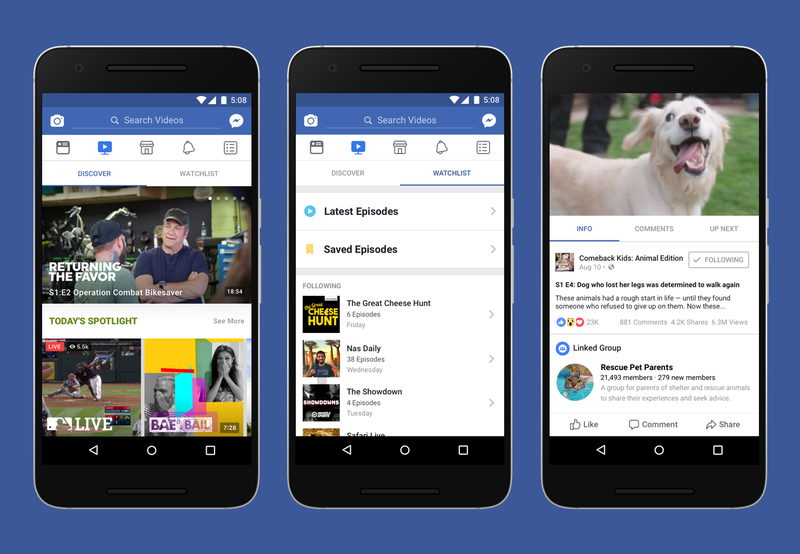 Examples of shows Facebook already announced include Kitchen Little, “a funny show about kids who watch a how-to video of a recipe, then instruct professional chefs on how to make it”, and Major League Baseball, which will broadcast a game a week. The service will initially be available to select groups in the US, with plans for a nationwide and then international rollout. Content will be live or recorded episodes which follow a consistent theme or storyline, such as weekly cooking show or a daily vlog. Over time, creators will be able to monetise their shows through advertising breaks and can also create sponsored shows using a branded content tag. According to media reports, publishers will earn 55 per cent of ad break revenue while Facebook keeps the rest. Facebook said it learned from its Live feature people’s comments and reactions to a video are often as much a part of the experience as the video itself. “So when you watch a show, you can see comments and connect with friends and other viewers while watching, or participate in a dedicated Facebook Group for the show,” it said. Facebook holds the advantage of already having a massive user base, but it will face competition from YouTube Red, which funds original series, and Snapchat, which attempted to create shows in-house but now mainly works with partners.